Dan Barry has found continuous success in the startup world by combining his musical knowledge with a long history of tech & research experience. With extensive experience in Audio DSP Development and Machine Hearing, Dan has lectured at DIT on Music and Media Technology and developed audio processing algorithms for several companies in the past from startups to multinationals, most notably Sony, who has been licensing Dan's sound source separation technology patent since 2004. In 2011, Dan co-founded and developed Riffstation, an app that gives you chords for any song in the world synced with the video or audio. 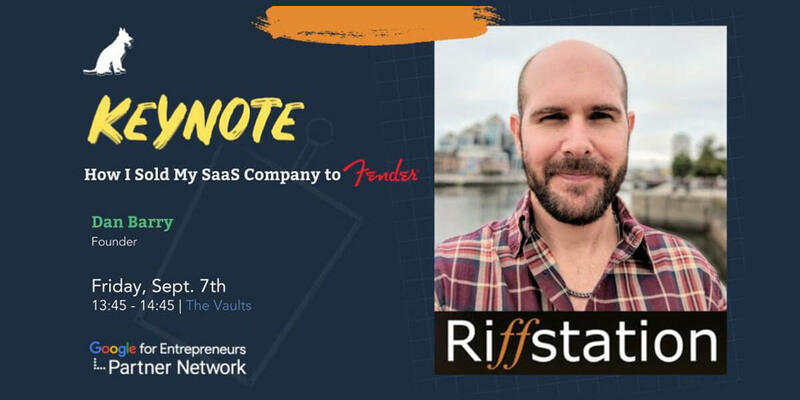 Fender, one of the world's most iconic guitar companies, acquired Riffstation in 2015 and made Dan the Vice President of Research and Development. After four years with Fender, Dan is moving back into the startup arena and we are excited to see what he comes up with next!